Kevin J. Barry, 66, a retired Coast Guard appellate judge who was a critic of the military commissions given the task of trying alleged terrorists and who fought for openness in how justice is applied in the military, died of colon cancer April 24 at his home in Chantilly. Capt. Barry's 24 years in the Coast Guard, most of it as a lawyer and judge, gave him both authority and credibility when criticizing the system of justice. After he retired in 1990, he spoke out about its failures in public forums, represented clients in their appeals and worked to change policies that he thought violated the basic tenets of justice. "What got him spun up was when he saw a system that he deeply believed in being used as an instrument of injustice," said Eugene Fidell, who teaches military justice courses at Yale Law School and who is president of the National Institute of Military Justice, which Capt. Barry helped found. U.S. District Judge Royce Lamberth, a friend for 30 years, called him "probably one of the most outstanding military lawyers I ever knew in my whole career. His views carried great weight." When Lamberth was a prosecutor, he said, Capt. Barry persuaded him to give a speech on the duty of government lawyers to curb judicial activism, a speech that attracted attention when his judicial nomination came before Congress. "When he criticized the system, careful attention was paid by Congress as well as the judicial system," Lamberth said Saturday. "I think he had a tremendous impact because his views were so well thought out, well considered and well respected." After U.S. District Judge James Robertson in 2004 found that detainees at the Navy base at Guantanamo Bay may be prisoners of war under the Geneva Conventions and therefore entitled to the protections of international and military law, Capt. Barry hailed the decision. 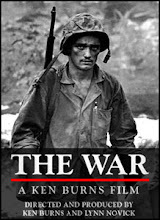 It "will give heart to all who think the rule of law should apply in the Afghanistan conflict," he told The Washington Post at the time, adding that the war on terrorism is the first U.S. war since the Geneva Conventions' adoption in 1949 in which the government has not accorded POW status to enemy fighters. In 2002, he told an American Bar Association panel that he and the Bar Association of the District of Columbia "believe that if military commissions are going to be used, they have to be fundamentally fair. Now we didn't say due process; we said fundamentally fair, a concept understood throughout the world, and that would include the constitution of the court. . . . Problem two, they should follow courts-martial procedure. They always have. That's the standard. . . . Final point, no system of trial can be complete without some sort of appellate review that is independent of the prosecution, independent of those who exercise prosecutorial discretion. Under the president's order, this system does not have the benefit of independent judicial review. . . . This system will not be seen by the world as fundamentally fair." He was born in New York and graduated from the Cathedral College of the Immaculate Conception in Brooklyn in 1964. After a short period studying for the priesthood, he enlisted in the Coast Guard in 1966 and served as an operations officer and navigator aboard several cutters. He was an instructor at the Coast Guard's officer candidate school and graduated in 1975 from the College of William and Mary's law school. He held a variety of legal assignments in the service until he was made the chief trial judge and appellate judge on what is now called the Coast Guard Court of Criminal Appeals. His last post before retiring was as chief of legislation at the Coast Guard's Washington headquarters. Capt. Barry went into private law practice from 1990 to 2005, focusing on military and veterans law and providing alternative dispute-resolution services. Since 1987, he also co-owned the Paschal Lamb, a Catholic book and gift store in Fairfax. 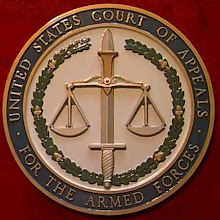 Among his awards were the U.S. Court of Appeals for the Armed Forces Judicial Award for Public Service in 2001, the U.S. Court of Appeals for Veterans Claims Distinguished Service Award in 2002, the Judge Advocates Association Lifetime Achievement Award in 2004 and the Bar Association of the District of Columbia's Lawyer of the Year Award in 2007. A prolific author of legal articles, he addressed controversial cases, the need to modernize court manuals and the Uniform Code of Military Justice, and the legality and efficacy of military commissions. He also wrote, during his 11-year battle with cancer, numerous articles about the spiritual aspect of the disease, which were published in Catholic journals. Survivors include his wife of 42 years, Roslyn Larkin Barry of Chantilly; three children, Michael Francis Barry of San Antonio, Daniel Kevin Barry of Alexandria and Melissa Rose Javier-Barry of Washington; a brother; two sisters; and three grandchildren. April 21, 2009 – 1:38 p.m.
President Obama on Tuesday left it up to the Justice Department to decide what action, if any, to take against Bush administration officials responsible for legal opinions permitting the use of harsh interrogation tactics on suspected terrorists. The president also signaled that he would not necessarily oppose the creation of an independent commission to probe Bush-era counter-terrorism policies. But he stressed his preference for looking forward, as he seeks to move beyond the controversies over waterboarding and other interrogation tactics that the government has renounced. Obama visited CIA headquarters on Monday to reassure intelligence agents that he had no intention to seek prosecution of those who conducted the interrogations. “For those who carried out some of these operations within the four corners of legal opinions or guidance that had been provided from the White House, I do not think it’s appropriate for them to be prosecuted,” Obama said Tuesday. “With respect to those who formulated those legal decisions, I would say that that is going to be more of a decision for the attorney general within the parameters of various laws, and I don’t want to prejudge that. I think that there are a host of very complicated issues involved there. “As a general deal, I think that we should be looking forward and not backwards,” he stressed. Rep. Jane Harman asked the Justice Department on Tuesday to release any transcripts of her calls that were wiretapped by the National Security Agency or the FBI. Harman’s request comes in response to a CQ story that reported the NSA wiretapped a conversation in 2005 between her and a “suspected Israeli agent” in which she offered to intervene to reduce spying charges against former American Israel Public Affairs Committee officials in exchange for assistance lobbying House Speaker and fellow California Democrat Nancy Pelosi to give Harman the chairmanship of the House Intelligence Committee. Harman did not get the House Intelligence Committee gavel, which went to Silvestre Reyes , D-Texas. In her letter to Holder, Harman said she “never contacted the Department of Justice, the White House or anyone else to seek favorable treatment regarding the national security cases on which I was briefed, or any other cases.” Her letter does not address whether she offered to do so in the recorded calls. Harman also requested that Holder investigate whether any other members of Congress were under NSA surveillance. Quoting an intelligence official, The New York Times reported last week that there was an aborted NSA plan to conduct surveillance of an unnamed member of Congress who was on a trip to the Middle East in 2005 or 2006 and in touch with an “extremist” already under surveillance. Senate Majority Whip Richard J. Durbin , D-Ill., said he was “troubled” by the reports that the NSA was eavesdropping on lawmakers and that the information had been leaked to the media. Durbin said he anticipated senators would probe the matter. “I’m sure they will. I’m sure the Intelligence Committee’s looking,” he said. In response to the CQ story, the Citizens for Responsibility and Ethics in Washington on Monday requested that the Justice Department’s Office of Professional Ethics investigate whether the department dropped an investigation into Harman’s offer to the suspected agent because, as CQ reported, national security officials said it would allow her to better defend the Bush administration’s warrantless wiretapping program. The group also asked the Office of Congressional Ethics to probe whether Harman violated House rules. Justice spokesman Dean Boyd declined to comment on the CREW release and whether the department planned any investigation of the Harman matter. “We’re reviewing the letter,” he said. Seth Stern and Kathleen Hunter contributed to this story. WASHINGTON, April 21, 2009 - The Navy's longest-running annual multilateral exercise got underway yesterday off the Florida coast, with 11 participating nations working together to promote maritime security and stability in Latin America. Navy Adm. James Stavridis, commander of U.S. Southern Command, called the 50th UNITAS Gold exercise a milestone for naval cooperation in the Western Hemisphere. Initially launched to strengthen participants' capability to defend the Americas against Soviet submarines, the exercise changed over time to address evolving security challenges, Stavridis noted. "Yet, the core purpose has remained constant: the desire to build mutually beneficial partnerships among the navies of the Western Hemisphere," he said. Stavridis said he's operated as part of UNITAS numerous times during his Navy career. "What I have learned, through partnership and friendship, about our friends in the Americas has been invaluable to me," he said. This year's UNITAS Gold, hosted by U.S. 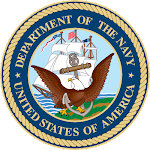 Naval Forces Southern Command and U.S. 4th Fleet, includes the militaries of Argentina, Brazil, Canada, Chile, Colombia, Ecuador, Germany, Mexico, Peru and Uruguay. The U.S. Navy's amphibious transport dock ship USS Mesa Verde, guided missile destroyer USS Donald Cook and guided missile frigates USS Doyle and USS Kaufman are among the 25 participating ships, along with four submarines, more than 50 aircraft, 650 Marines and 6,500 sailors. The scenario-driven training will feature live-fire exercises, undersea warfare, shipboard operations, maritime interdiction operations, anti-air and anti-surface warfare, amphibious operations, electronic warfare and special warfare, officials said. "As we move forward together, I am confident the future opportunities to work with our partners will not only strengthen our ability to operate together for our nations' security, but will also build personal and professional respect and friendships," said Navy Adm. Joseph Kernan, commander of NAVSO and U.S. 4th Fleet. Earlier today at the Summit of the Americas President Chavez approached Secretary Clinton, and they discussed returning ambassadors to their respective posts in Caracas and Washington. This is a positive development that will help advance U.S. interests, and the State Department will now work to further this shared goal. New York Times - Editorial - 04.19 - The Torturers’ Manifesto - "MUST READ"
Their language is the precise bureaucratese favored by dungeon masters throughout history. They detail how to fashion a collar for slamming a prisoner against a wall, exactly how many days he can be kept without sleep (11), and what, specifically, he should be told before being locked in a box with an insect — all to stop just short of having a jury decide that these acts violate the laws against torture and abusive treatment of prisoners. The abuses and the dangers do not end with the torture memos. Americans still know far too little about President Bush’s decision to illegally eavesdrop on Americans — a program that has since been given legal cover by the Congress. At least Mr. Obama is not following Mr. Bush’s example of showy trials for the small fry — like Lynndie England of Abu Ghraib notoriety. But he has an obligation to pursue what is clear evidence of a government policy sanctioning the torture and abuse of prisoners — in violation of international law and the Constitution. WASHINGTON, April 17, 2009 - A recent agreement among the Defense Department, the Navy and shipbuilders will enable more efficient construction of the next-generation destroyer at one shipyard instead of two, a senior Defense Department official announced here today. The "swap" agreement calls for three DDG-1000 destroyers to be built at the Bath Iron Works in Maine, John J. Young Jr., undersecretary of defense for acquisition, technology and logistics, told reporters at the Pentagon. Work on the DDG-1000 destroyers previously was to be split between General Dynamics' Bath Works and Northrop Grumman's Ingalls Shipyard in Mississippi, Young said. As part of the new agreement, the Ingalls shipyard, which also builds some other Navy vessels, will gain a contract to build two more DDG-51 guided-missile destroyers. The swap agreement, Young said, is the result of months of negotiations and is a reflection of "unprecedented efforts by the Navy and industry partners to operate in a business-like manner." The agreement, he added, involved compromises by all parties "to enable efficient construction of naval vessels." The DDG-1000 Zumwalt-class vessel is a high-tech, guided-missile destroyer envisioned to eventually replace the DDG-51 Arleigh Burke class of warships that were developed 30 years ago. Navy Adm. Arleigh Burke was a famous destroyer commander in the South Pacific during World War II. Named for Navy Adm. Elmo Zumwalt Jr., who served as chief of naval operations in the early 1970s and died in January 2000, the DDG-1000 ships feature computer-aided design, modular construction, high-tech armaments and radar, as well as a unique, streamlined hull design. The DDG-1000's complicated, high-tech content, Young said, makes its design and construction an admittedly expensive endeavor. Cost of a first prototype, or lead, DDG-1000 ship is estimated to be around $3.2 billion, he said, with prices of follow-on vessels likely to decrease due to industrial economies of scale. The design and development of the DDG-1000 "has gone well," Young said, noting that the program has "gone to budget [and] gone on schedule." Initial plans were to build 32 of the DDG-1000-series vessels at the Bath and Ingalls shipyards. Today, the Defense Department's proposed fiscal 2010 budget calls for building just three vessels. Defense Secretary Robert M. Gates today told members of the Naval War College in Newport R.I., that the United States will require a naval presence in the future. "But we cannot allow more ships to go the way of the DDG-1000," Gates told the Naval War College audience. The DDG-1000's rising cost per ship, he noted, was among the reasons for buying reduced numbers. Gates has recommended building more Arleigh Burke-class vessels and upgrading those now in the fleet. Sixty-four Arleigh Burkes have been built, not counting the two new ones slated for construction at the Ingalls shipyard. Gates also deemed the arrangement for constructing DDG-1000s at the two shipyards as inefficient and too costly to taxpayers, Young said. "I think it was important to him that we build these ships efficiently," Young said of his understanding of Gates' reasoning. If the DDG-1000s couldn't be efficiently produced, Gates "was potentially prepared, even in the face of clear political danger, to go back and possibly cancel two ships, and that would have cut jobs in both shipyards," Young said. July 9, 2008 – 12:05 a.m. The bill revising the Foreign Intelligence Surveillance Act (FISA) goes to the Senate floor for a vote today after being caught in the crunch of stalled legislation prior to the July 4th recess. It grants civil immunity to telecom companies who have, or may again, violate the Constitution with regard to warrantless electronic eavesdropping, and it carves out huge exceptions to the usual safeguards that protect citizens from promiscuous government fishing expeditions. It was a bad bill a week ago, and it is still a bad idea whose time apparently has come. All the bad arguments for the bipartisan compromise remain largely the same, but now even fewer people are paying attention, and some new bad arguments have been added over the long weekend. The Washington Post has endorsed it in two editorials, both trumpeting its bipartisan origins, as if the mere fact of bipartisanship was somehow on a par with considerations of its merits. A bad piece of legislation, broadly supported, is likely to be even worse in its ultimate consequences than hard-fought bills. When the time comes to use it or to defend it in court, just that many more people will be invested in believing and being seen to believe that it wasn’t all that bad. Speaker Nancy Pelosi offers a mixed review, suggesting the need for more discussion, while expressing satisfaction that it offers more Congressional oversight. The history of oversight to date does not offer much consolation, given what we now know about how much key oversight committee members knew all along about what President Bush was doing without proper legal authority. Barack Obama signed off on it with the suggestion that he can be trusted not to abuse it when he is president and the promise to try to strip out the offending immunity provision, even though it no longer strikes him as all that much of a problem in comparison to the need to protect the American public. Never mind that he might not be elected, or that those who work for his administration might find themselves tempted to misuse the new law. Never mind also the fact that the remaining problems with the bill are not confined to the telecom immunity provision. While the immunity issue gets the bulk of press ink and air time, the lack of safeguards going forward are the issues that critics such as Senators Patrick J. Leahy , Arlen Specter , and Russ Feingold emphasize most. Their message has gotten lost, however, and both the media and those who want to sidestep the remaining problems with the bill have found common cause in ignoring what is most fundamentally at issue. Other defenders are now saying that it is fair and reasonable to grant immunity to companies who acted, or may in the future act at the instruction of the President. What gets missed in this argument is that not even soldiers have a duty to obey unlawful orders, and private citizens and corporations have no general duty to do whatever the President asks of them. It is absurd to suppose that companies should be absolved for doing what they were told to do by someone who lacked the authority to issue such an order in the first place. The new argument also claims that it would be unfair to hold companies responsible for actions that they did not know to be legally problematic. The claim is that we now know that what was done in the past was illegal, but the companies themselves are blameless. It is the administration alone that should be held accountable. The problem with that argument is simple for anyone who even thought about going to law school. If telecom companies now want to deny that they had good reasons for being suspicious at the time, they might want to consider asking for a refund from their lawyers. Indeed, some companies did refuse to comply, but all testified before Congress that they feared economic retribution if they did not. Moreover, the recent defenses suggest that the bill ensures that the illegal acts of the past won’t happen again, but this just repeats the false claim that the only remaining problem worth discussing is the immunity provision. Now that we have an argument to the effect that those complicit with the President’s past policies are blameless, we are urged to set aside that as well. Some have suggested that the immunity provision turns out to be not all that problematic for other reasons. The claim is that the bill does not eliminate all legal remedies going forward since it merely makes it hard to maintain individual civil lawsuits by persons alleging injury from illegal eavesdropping. Because the act appears to preserve the option of criminal prosecution, the civil immunity provision is said to be a relatively small trade-off to make. The problem with this argument is that (even if they are correct in their reading of the legislation) it would require the Justice Department to prosecute the offenses, and no one in their right mind seriously believes that either an Obama or McCain administration will pursue that remedy. Who more than aggrieved individuals have both the right and the motivation to act to protect their own liberties? Political strategists dismiss the criticisms of the FISA bill and its bipartisan consensus with a shrug. It won’t really lose their candidates many votes, and it just might remove some rhetorical ammunition used by those who wish to paint an opponent as soft on terrorism or national defense. That argument assumes that the perpetuation of an imperial presidency with enhanced and unchecked powers to monitor its citizens is of no real long-term consequence. It is as if they are saying that MoveOn should take its own advice and just move on. Some of us were hoping that advisors peddling this sort of advice would have moved on as well. Madison Powers is Senior Research Scholar at the Kennedy Institute of Ethics, Georgetown University. His columns appear regularly on Wednesday in CQ Politics. 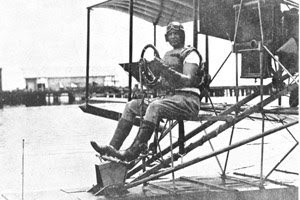 1918 - First Marine Aviation Force formed at Marine Flying Field, Miami. Jon Frankenheimer’s classic 1962 movie, “The Manchurian Candidate,” is an exquisite metaphor for the impending debate over U.S. accession to the Law of the Sea Convention. The movie, which is a parody of the Cold War and a psychological study of McCarthyism, depicts how the far right is a tool of the far left. President Barack Obama is about to enter into the dark and metaphorical world of the Cold War-era film as he and the Senate consider U.S. participation in the Law of the Sea. There are more than 150 parties to the treaty, which has become the “constitution” for the world’s oceans, and the president has a golden opportunity to burnish America’s multilateral credentials — and promote U.S. economic and military interests — by ratifying the treaty. But as the administration and the Senate turn their attention toward U.S. membership in the convention, they will encounter conservative Republican palace intrigue straight out of archetypal 1950s cinema. Since 1994, the United States has considered joining the convention, which delineates the rights and duties of coastal states and maritime nations throughout the global commons. A minority of activists from the political right raised a host of criticism about the treaty, including that it will bring about a world government, U.N. taxes, a U.N. Navy, and other fanciful specters. Despite voicing support for the convention, President George W. Bush was unable to grab this low-hanging fruit and gain U.S. entry into a multilateral framework that promotes both economic and military interests. Obama now has the opportunity to secure America’s place in global ocean governance by joining a treaty that facilitates efficient world merchant shipping in the midst of a global economic downturn and protects the Navy’s right to operate unimpeded throughout the global commons. The drama so far is thick with irony. These criticisms from the political right have not grasped the real threat to U.S. oceans interests, which is the relentless campaign by nongovernmental organizations (NGOs) such as Greenpeace, in conjunction with certain coastal states, including some of our closest allies such as Canada and Australia, to unilaterally impose maritime rules to restrict international shipping on the oceans and aircraft overflight of the seas for purported environmental reasons. John Bolton, the former U.S. ambassador to the United Nations, describes the partnership between NGOs and some like-minded governments as “norming,” in which “civil society” combines its efforts with the most politically liberal governments to develop international law in opposition to U.S. interests. Many of the most progressive maritime rules emerging from this process are inconsistent with the navigational freedoms protected in the convention, and the U.S. relies on those freedoms to ensure submarines can transit through the world’s chokepoints and launch military operations from ships serving as “sea bases” in the littoral regions of the world. Similarly, less well-intentioned nations such as North Korea, China and Iran have sought to impose control over the ocean out to 200 miles by establishing security zones. Both types of coastal state regulations place at risk American economic prosperity and national security by attempting to close off to U.S. ships and aircraft vast swaths of ocean, allowing the whim of coastal states to deny the use of the global commons. The creation of new maritime regulations by coastal states throughout the world poses the greatest threat to the freedom of the seas, a core U.S. interest. In recent years, some coastal states have attempted to impose excessive regulations over vessels and aircraft transiting through international straits, such as the strategic Strait of Hormuz, or naval operations as far out as 200 miles from shore. These regulations include prohibitions on the operation of certain types of vessels, such as warships or submarines, or some categories of oil tankers, or the requirement for advance notice to or prior consent by the coastal state in order to conduct transits in international waters or international straits. The coastal states that are trying to topple Grotius and reshape and curtail military access and global shipping understand the importance of the Law of the Sea to preserving navigational freedom. Asserting authority to control environmental regulations and impose security standards over foreign vessels and aircraft, some coastal nations are working aggressively to reinterpret and reshape the Law of the Sea from a regime that promotes freedom of the seas toward one that permits coastal states to control foreign vessels and aircraft in the global commons for environmental, security — or even political — reasons. The fact that some countries that already belong to the convention and are trying to change it through reinterpreting the terms of the treaty shows that those states understand how to convert a struggle for power into a struggle to shape the law. China, for example, is a party to the Law of the Sea, but denies that foreign warships have the right to enjoy high seas freedom and overflight in the East China Sea. Beijing is patiently but steadily pushing to change standard interpretations of international law, integrating into its maritime strategy elements of “legal warfare” and an effective public diplomacy campaign to capture world public opinion. By declining to become a member of the treaty, the U.S. has so far ceded the opportunity to influence and shape the constitution for the oceans, yielding the stage to China, North Korea and Iran to popularize their restrictive approach to navigational rights. This is akin to refusing to engage in debate on the future direction of the U.S. Constitution because one’s political opponents have staked out objectionable positions on the issues and are engaged in “reinterpreting” its most fundamental provisions. In the case of the Law of the Sea Convention, we are starting with a treaty that reflects an enormously beneficial balance in favor of freedom of the seas, although U.S. inattention and nonparticipation over the last 20 years has been counterproductive. Washington has so far buried its head in the sand rather than becoming a treaty partner and energetically promoting the standard — and historically correct — interpretation that protects freedom of the seas. The convention still reflects the essential interest in promoting global freedom of the seas, but that orthodox view is under legal and political assault, both from coastal state regulators within the U.S. government and in foreign capitals. Since states began conducting international trade in earnest, they have relied on freedom of the seas for their safety and prosperity. “We live around the seas,” said Socrates, “like frogs around a pond.” In a line running from ancient Greece and Rome, into the modern era through Portugal and Spain, including the Netherlands, the United Kingdom and now the United States, all of the world’s foremost powers achieved and maintained their position of leadership through reliance on pre-eminent sea power and freedom of the seas. The U.S. has long championed freedom of the seas. President Thomas Jefferson built a navy to resist the Barbary pirate corsairs when European governments paid tribute to safely transit the Mediterranean. The War of 1812 was fought largely over the right of U.S. merchant ships to ply the seas freely, engaging in nascent global trade. Freedom of the seas was a feature of President Woodrow Wilson’s “Fourteen Points” during World War I and was one of the war aims included in the Atlantic Charter by British Prime Minister Winston Churchill and President Franklin D. Roosevelt during the World War II. During negotiations of the Law of the Sea Convention, diplomats from the United States and other major maritime powers, including Russia and Japan, were successful in ensuring that these time-honored principles were incorporated into the treaty in 1982, advancing our interest in naval power and fueling the trade globalization of the 1990s. This is a core American national interest in the oceans, and the Law of the Sea locks in generous navigational provisions that apply throughout the globe — for both naval vessels and merchant shipping. The convention gives the U.S. the legal and moral high ground to transit freely through more than 100 strategic straits throughout the globe, including the critical Straits of Malacca and Singapore and the Northwest Passage in the Arctic. The convention protects the right of all countries to exercise high seas freedoms to transit on, over and under coastal states’ exclusive economic zones — a special fishing and resource area that extends out to 200 miles from the coastline and comprises 35 percent of the world’s ocean space. This area constitutes the location of much of the merchant shipping traffic and is the fulcrum of naval expeditionary operations where our forces stage at sea to affect events on land. By guaranteeing high seas freedoms in the exclusive economic zone, the treaty reinforces the ability of the armed forces to move — without hindrance and under authority of law — forces, weapons and materiel to the fight. Ultimately Washington will rely on the Navy to guarantee freedom of the seas, but to do so for every transit of every vessel and aircraft begs the question: At what cost? Do we want our only option to be gunboat diplomacy, or would we rather operate with the agreement and support of the global community? Writing in “The Art of War” in the 6th century B.C., Chinese military strategist Sun Tzu said it is the acme of skill to subdue the enemy without fighting. The United States achieved a diplomatic victory in the Law of the Sea Convention by obtaining our most important interests in freedom of navigation. The real value of the convention to the U.S. is in strengthening and influencing a nearly universally accepted treaty that represents the best means of maintaining the stable, secure and prosperous world we envision and the place we occupy in it. 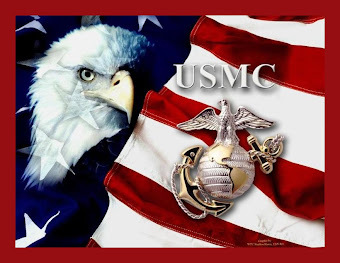 QUANTICO, Va., April 13, 2009 - The U.S. military's rescue of a kidnapped American ship captain yesterday was "textbook," but the issue of piracy is likely to worsen in the absence of a systemic solution, Defense Secretary Robert M. Gates said today. Despite the operational precision of the rescue, however, the question of how to deal with the broader issue of piracy still looms large, with 111 incidents reported last year on the east coast of Somalia and the Gulf of Aden, according to the International Chamer of Commerce. "Is there a way to deal with this in a systemic way that reduces the risk and brings the international community together in a productive way to deal with the problem?" Gates said. "I think we're going to end up spending a fair amount of time on this in the administration, seeing if there is a way to try and mitigate this problem of piracy." WASHINGTON, April 8, 2009 - The best way to ensure servicemembers transition seamlessly from the Defense Department to the Department of Veterans Affairs when they leave the military is to start the process at the swearing-in ceremony, Veterans Affairs Secretary Eric K. Shinseki told American Forces Press Service. "Seamless transition really has to begin when that servicemember is still serving, puts on the uniform, raises a right hand and takes the oath of allegiance," said Shinseki, who spent 38 years in uniform before retiring in 2003 as Army chief of staff. "We need to begin the transition then." Shinseki said he's had several conversations with Defense Secretary Robert M. Gates about ways to continue improving the transition process between the two departments. One concept, called "uniform registration," would enroll servicemembers automatically in a single Defense-VA management system when they join the military. As envisioned, the system would have two components: one for personnel files and another for medical files. Shinseki explained the benefits of uniform registration last month during a Senate Veterans Affairs Committee hearing. "Uniform registration will push both of us, both the VA and the [Defense Department], to create a single, electronic record that would govern how we acknowledge, identify, track and manage each of our clients," he said. "That way, we could begin to track them throughout the course of their service in uniform – whether it's two years, four years, 10 years, 30 years," he told American Forces Press Service. "And when the change in their status occurs and they take the uniform off and return to civilian life, the transition has already been done," he continued. "They are already a member of our department, we know who they are, and we have been watching their development." The initiative, he said, would result in better, faster, more consistent management decisions, with less chance of lost files or destroyed claims and fewer backlogs in processing claims. Servicemembers leaving the military would come to VA as known entities, and their entitlements would be clear, Shinseki said. Meanwhile, VA could better project veterans' needs. Shinseki told the Senate committee both VA and the Defense Department "are in agreement about the goodness of such a system and have people working toward making this a reality." Uniform registration is really just an extension of other VA-administered programs that cover those in uniform, Shinseki said. These include Servicemembers' Group Life Insurance, educational loans and guaranteed home loans. "So this idea that your benefits begin when you take off the uniform is misleading," he said. "Those benefits are there in those categories from the time they begin serving." The Defense and Veterans Affairs departments have been working diligently to eliminate gaps as servicemembers – particularly wounded warriors – transition from military to civilian life. Congressional panels, blue-ribbon commissions and in-house investigations all have pointed to the need for the two departments to improve their coordination and cooperation to better serve transitioning troops. Shinseki told the Senate panel progress being made will help ensure better care and support for veterans. "Through a cooperative effort, we seek to improve the delivery of benefits and assure the availability of medical data to support the care of patients shared by VA and [the Defense Department]," he wrote in his written testimony. "This will enhance our ability to provide world-class care to veterans, active-duty servicemembers receiving care from both health-care systems, and our wounded warriors returning from Iraq and Afghanistan." CQ TODAY ONLINE NEWS DEFENSE April 3, 2009 – 2:02 p.m.
Defense Secretary Robert M. Gates plans to brief congressional leaders and announce Monday a “fundamental shift” in defense spending and priorities, his spokesman said Friday. The fiscal 2010 funding choices in the announcement will represent the first major defense policy decisions of President Obama’s administration. Specific details of the budget are not expected until the first week of May, but Gates will make the unusual move of announcing several major program decisions weeks ahead of the budget release, according to the spokesman. Morrell said that Gates would finalize the decisions over the weekend and brief congressional leaders Monday morning. A press conference will follow. The timing of the announcement allows Gates to present the strategic rationale for the decisions at once, rather than having individuals criticize the decisions piecemeal as they leak out. “Gates’ hope is that by revealing it all at once and by explaining it in depth and explaining the strategic rationale for all of these decisions, that people will view it as a whole and not get focused on the individual decisions and not let their parochial interests overcome the fact that it is in our national interests to make these adjustments to the whole of the budget,” Morrell said. Although Gates repeatedly has warned that no final decisions have been made about specific program cuts, defense officials have noted that some are at serious risk — particularly those that are poor performers or cannot be connected with a current threat. The programs that many expect to face huge cuts or cancellation include the Army’s Future Combat Systems program; the Transformational Communications Satellite program; the Navy’s DDG-1000 destroyer program; and the VH-71 presidential helicopter program. Some cuts or procurement delays are also expected for the Joint Strike Fighter aircraft program. Ballistic missile defense, which represents the Pentagon’s largest acquisitions program, also could be on the chopping block. Futuristic missile defense components are at particular risk, including the Airborne Laser Program, the Kinetic Energy Interceptor, the Space Based Interceptor, along with plans to begin construction on two missile defense sites in Eastern Europe. Many observers on Capitol Hill are also anxiously awaiting what Gates might say about the fate of the Pentagon’s troubled effort to buy a new fleet of aerial refueling tankers, whether or not the new administration wants to build a new bomber aircraft, and whether the president wants to continue buying F-22 Raptor fighters. Sources said that the president wants to cap the number of F-22s at around 250, which would ensure three more years of production after the current limit of 183 planes is reached this year. According to a blueprint released in February, Obama will ask for $533.7 billion in discretionary spending in fiscal 2010. That number is $20.4 billion, or about 4 percent, higher than the $513.3 billion appropriated in fiscal 2009. For fiscal 2010 war funding, the administration will request $130 billion at the same time the base budget request is made. Next week, the president will also send to Congress a request for a second tranche of fiscal 2009 war funding, which will include $75.5 billion for the Defense Department and about $7.1 billion for the State Department and foreign operations. SNOWMASS VILLAGE, Colo., March 31, 2009 - Someone who has lived with a disability for more years than he cares to count knows exactly what newly disabled veterans of the wars in Iraq and Afghanistan are going through. Jake Hipps, 54, served as a Marine Corps lance corporal during the Vietnam War era, and his life made a dramatic turn during an accident he still doesn't like to talk about that landed him in a wheelchair. Sixteen years later, he considers himself an old sage who can be an example to young troops struggling to accept their disabilities. So between runs down black-diamond slopes during the 23rd annual National Disabled Veterans Winter Sports Clinic, he cheers on fellow veterans tackling adaptive skiing and other adaptive recreational activities for the first time. "You have to let them know that this isn't the end of the road," Hipps said. "I tell them, 'Watch me grow, and you can grow, too.'" Hipps credits a dedicated Department of Veterans Affairs staff, and a whole host of events the VA sponsors, with helping him take the steps to turn his life around. In fact, he said, he's more active now that when he was walking. "What's important is living one day at a time," he said. "That's how I've learned to take life." Kyle Keinitz, 28, who was paralyzed in a car accident in December 2002, said newly disabled troops go through an almost inevitable process. "When you're first injured, you have to go through that mental downfall into acceptance," said the former Marine Corps lance corporal. "But once you get past that, rehabilitation is a tool to get better, both physically and mentally." An avid skier before his accident, Keinitz said, he wasn't willing to let a wheelchair and a dose of nervousness stand between him and the mountains he loves. "I'm a 'baptism by fire' kind of guy, so I gave it a whirl" at last year's clinic, he said. "I was hooked after the first day." Now back at his second winter sports clinic, Keinitz said he's passing what he learned along to his fellow veterans. He encourages them to embrace the therapy VA offers to get their bodies stronger – a big step, he said, toward getting mentally healthy, too. "And when you're done with therapy, don't stop," he said. "Don't sit on the couch. If there's something you can try, try it." Veterans Affairs Secretary Eric K. Shinseki challenged veterans like Hipps and Keinitz during the clinic's March 28 opening ceremonies to take newly disabled comrades under their wings and mentor them as they learn to live with their disabilities. "They have a lot of living in front of them, and they have a role in the quality of that living," Shinseki said during an interview with American Forces Press Service. Shinseki said he believes the winter sports clinic gives young veterans "a glimpse of what is possible if they keep hope alive." For Army Staff Sgt. Jake Leitz, whose car hit a sheet of ice just a year ago that sent him into a wheelchair, the opportunity to learn from others who understand his situation like few others can is a big plus of the winter sports clinic. Leitz, a Montana National Guardsman, spent five months in three different hospitals being treated for a compressed spinal cord before his VA recreational therapist suggested he give the clinic a try. "I jumped right into it. I didn't hesitate at all," said 29-year-old Lietz. He described his first ski experience yesterday in superlatives: "a blast," "amazing," and "one of the most fun things I've ever done." But Leitz said he's taking far more away from the clinic than a good time. "It's camaraderie," he said. "It reaffirms that no matter what happens to us, the camaraderie never leaves. There's always somebody out there willing to teach me. It's awesome." Just two days into the clinic, Leitz already has received tips from a fellow vet who underwent a stem cell procedure like the one he'll go through in May. Another veteran is committed to teaching him how to "hold a wheelie" in his wheelchair. "It reinforces that there are plenty of guys and girls out there, all in the same situation," he said. "We're all here together, helping each other. The camaraderie never leaves." Sandy Trombetta, VA's national director for the clinic, said the goal of the six-day clinic is to push disabled veterans' limits and help them discover things they never imagined they still could do. He called the experience a "ride of discovery" that gives participants new motivation to press on with their rehabilitation. Kevin White, a member of the Milwaukee VA Medical Center's medical team, said he marvels at the therapeutic impact of the winter sports clinic. "It lets the veterans know they can do anything they want, just like before," he said. But the camaraderie and spirit of the clinic last long after the closing-day awards ceremony, he said. "When the veterans go back home, it definitely makes a big difference," he said. "After they come here, they just know what's possible."